from 2 hrs to > 1 sem. 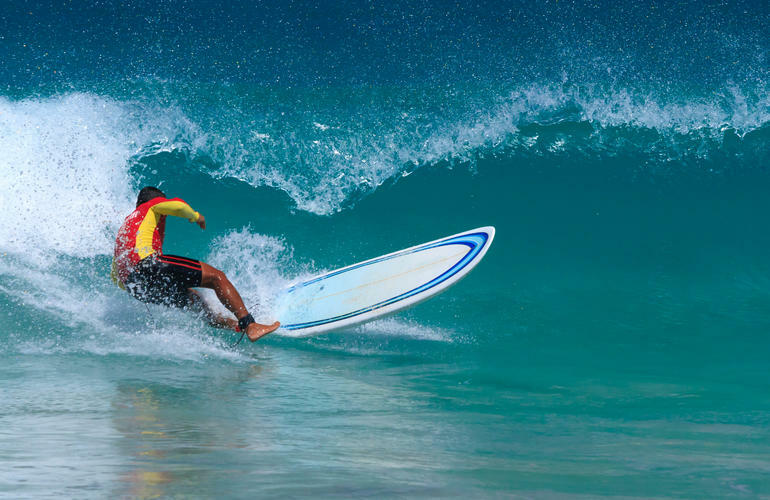 SSS Phuket gives you the opportunity and the chance to practice one of the most popular sport in the whole world: surfing! 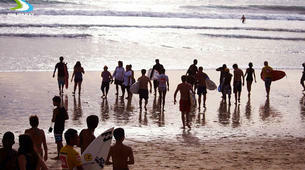 Come and enjoy the waves and excitement that Phuket offers. 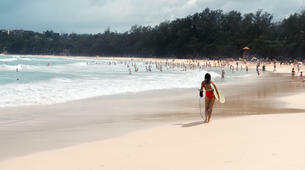 Kata Beach is one of the ideal locations you could learn to surf in Phuket. 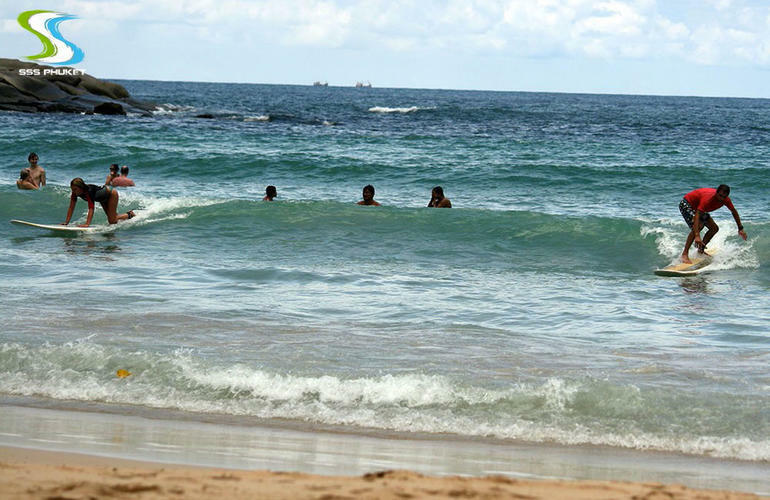 Complementing the breath-taking view is the gradual sloping of the sandy ocean floor which makes perfect waves for beginners. Be warned: Surfing can become very addictive! - Before going into water your instructor will have a short briefing about the security regulations - you will then determine which foot will support the most your balance once on your board (right or left – generally this is called goofy or regular surfer). 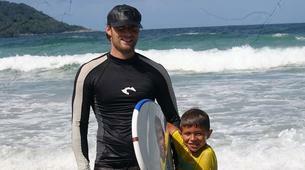 - After that, you will try to stand on the board on the beach, the aim is to make you feel confident with your board. 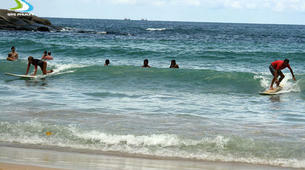 - He will push you into waves so that you will be able to enjoy as soon as you hit your first waves. 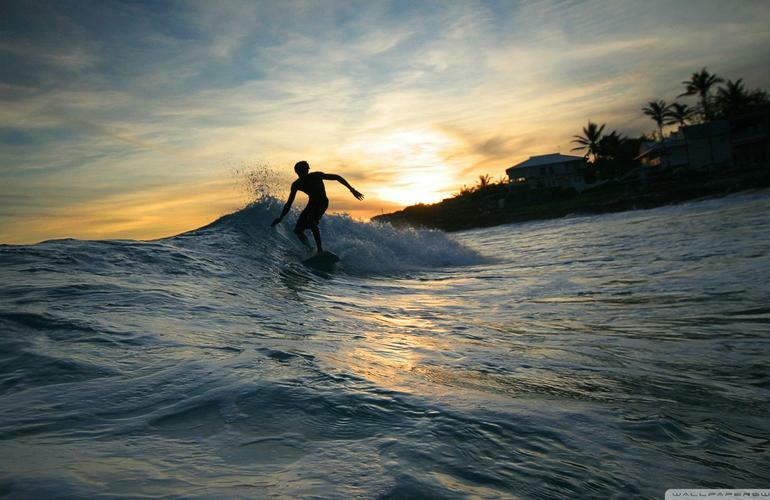 After your first lesson, you will yet be able to enjoy your first waves by yourself. 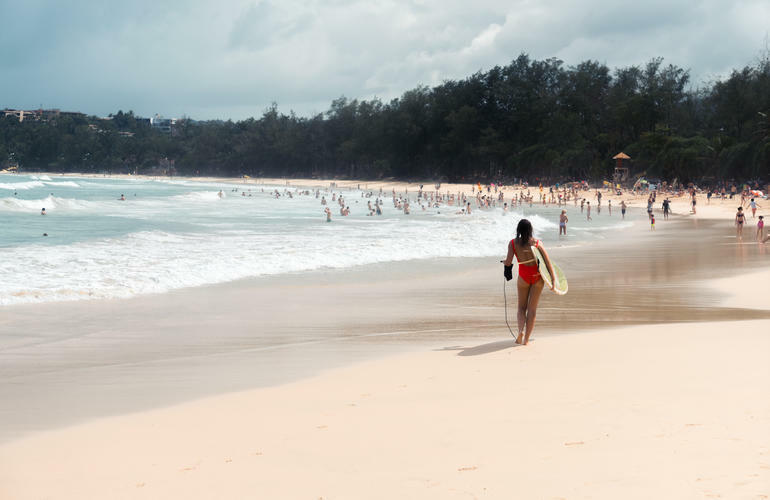 At the end of your course, nothing could be simpler, SSS Phuket's deals with the surfboard. You just have to relax yourself and enjoy the Andaman Sea’s delights! This is a 90 minute lesson in groups of 2 people per instructor. All participants must be able to swim autonomously. 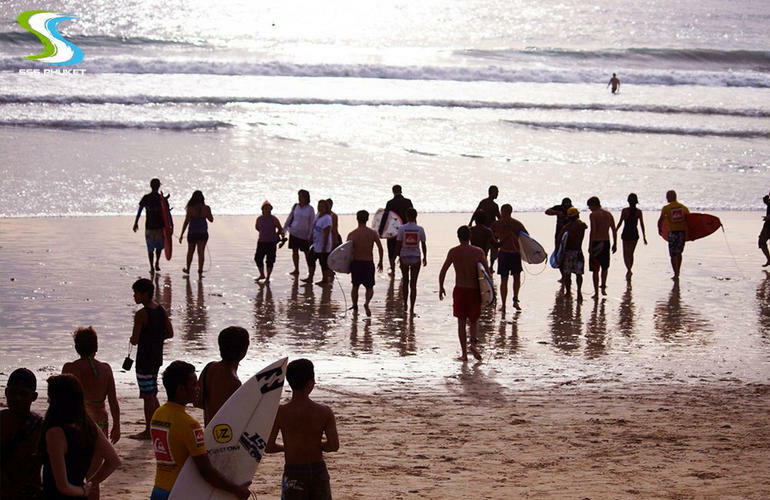 Please note that the meeting time is approximative (as it depends on the tide) and you must contact the surf school the evening before your lesson to confirm you meeting time. You'll have two 90 minute lessons, one in the morning and one in the afternoon. Each group is made up of 2 people per instructor. You will have a 90 minute lesson on each day, over 2 days. Each group consists of 2 people per instructor. You'll have two 90 minute lessons: one in the morning and one in the afternoon, over 2 days. You will have a daily lesson of 90 minutes over 11 days. You'll have two 90 minute lessons, one in the morning and one in the afternoon over 11 days.